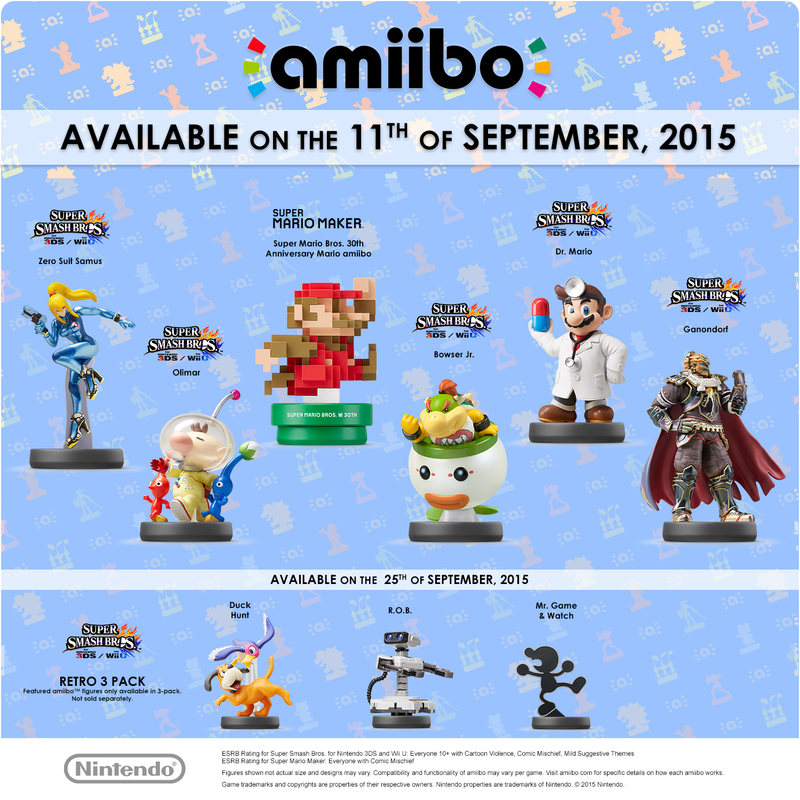 Nintendo fans and toy collectors alike have been well aware that Nintendo will release a bunch of their wildly popular Amiibo next month, but they’ve been quite coy about exactly when… Until today.Nine Amiibo have been confirmed for a North American release next month, as six of them will come out on Sept. 11, while another three will be released on Sept. 25 as a full package. The first six to be released in September include the 30th Anniversary Mario “Classic” Color, Zero Suit Samus, Ganondorf, Olimar, Bowser Jr., and Dr. Mario which all coincide with the North American release of Super Mario Maker on Sept. 11. This color is still coming out. Nintendo just didn’t say when, or where. On Sept. 25, retro fans should be excited to know that R.O.B., Duck Hunt, and Game & Watch will be a part of a retro 3-Pack, and people have reason to believe that it’s going to be a GameStop exclusive. Though it hasn’t been made official by either Nintendo or GameStop, reports and updates on Reddit seem to indicate that stores across the United States will be having a special Amiibo event this Saturday, which will give customers the opportunity to preorder the retro 3-pack with a $5 deposit. Also according to Reddit, some stores might even be open an hour early at 9:00 a.m. for Power Up Rewards Pro members. Amiibo hunters will be keen to point out that the last time GameStop held an Amiibo pre-order, it crashed their system and outraged countless customers. Unlike the Wave 4 preorders, though, customers will be expected to pick up their 3-pack at the store in which they made the purchase. Yes, they’re in a 3-pack too. Nintendo also updated their Amiibo website which shows that the Mii Fighters, which were originally planned for a release next month, have been remarked as a fall release and will also be in a 3-pack. Lastly, the 30th Anniversary Mario “Modern” color also has no clear release date. 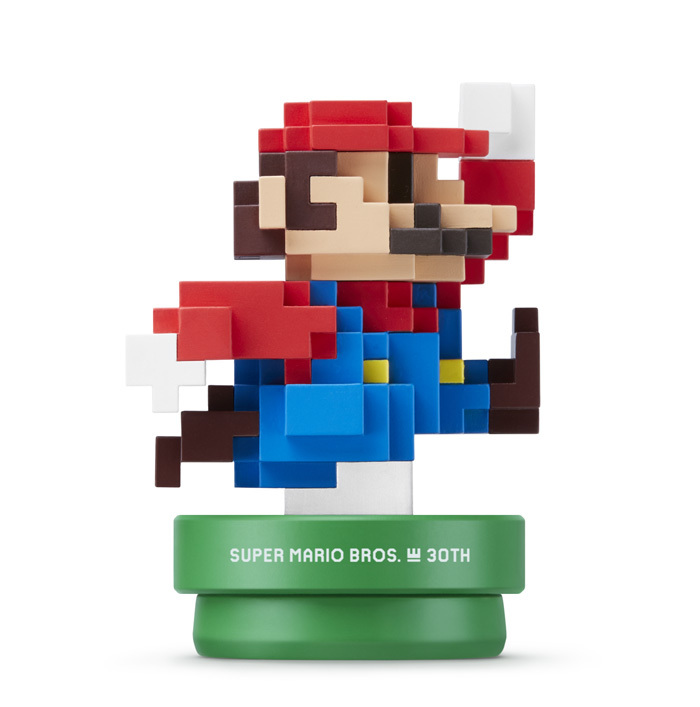 Considering that this 8-bit-themed Amiibo was unveiled with the “Classic” figure to celebrate Super Mario Maker‘s release, it wouldn’t surprise anybody if that also turned out to be a store-exclusive. As more interesting official news regarding Amiibo comes out, we’ll be sure to let you know.